Get in touch with nature at Flinders Chase National Park and Raptor Domain. Relax by the water at Stokes Beach and Island Beach. There's lots more to do: identify plant and animal life at Seal Bay Conservation Park, kick back and relax at Browns Beach, stroll through Penneshaw Beach, and don't miss a visit to George's 40,000 Castle Lights. To find traveler tips, ratings, where to stay, and tourist information, refer to the Kangaroo Island holiday builder tool . Baden-Baden, Germany to Kangaroo Island is an approximately 28-hour combination of train and flight. The time zone difference when traveling from Baden-Baden to Kangaroo Island is 8 hours. Finish your sightseeing early on the 24th (Mon) so you can travel to Port Lincoln. Escape the urban bustle at Shark Diving and Fishery Bay. Relax by the water at Lincoln National Park and Sleaford Bay. There's still lots to do: take in the exciting artwork at By The Sea Gallery. To find more things to do, ratings, where to stay, and more tourist information, use the Port Lincoln online tour itinerary planner . Fly from Kangaroo Island to Port Lincoln in 4 hours. Alternatively, you can do a combination of car and ferry; or do a combination of taxi, ferry, and bus. Wrap up your sightseeing on the 27th (Thu) early enough to travel to Yankalilla. Step out of the city life by going to Carrickalinga Beach and Aldinga Beach. We've included these beaches for you: Horseshoe Bay and Maslin Beach. 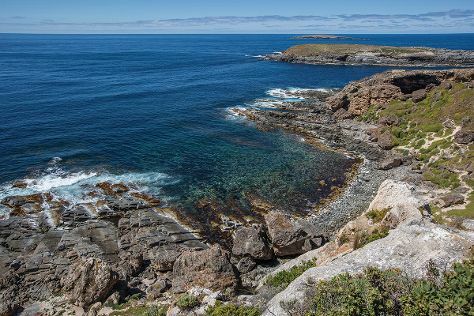 Explore Yankalilla's surroundings by going to Shingleback (in McLaren Vale), Newland Memorial Uniting Church (in Victor Harbor) and Delamere (Blowhole Beach & Deep Creek Conservation Park). To see maps, where to stay, and more tourist information, read Yankalilla tour itinerary maker site . Traveling by car from Port Lincoln to Yankalilla takes 8 hours. February in Yankalilla sees daily highs of 32°C and lows of 19°C at night. Wrap up your sightseeing on the 1st (Sun) early enough to travel to Adelaide. Visiting Glenelg Beach and Henley Beach will get you outdoors. 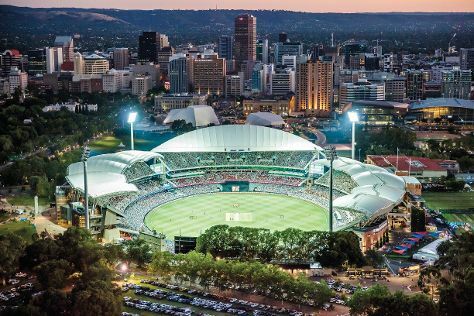 Get a sense of the local culture at Adelaide Oval and Art Gallery of South Australia. When in Adelaide, make a side trip to see The Cedars in Hahndorf, approximately 30 minutes away. There's lots more to do: learn more about the world around you at South Australian Museum, enjoy the sand and surf at Seacliff Beach, deepen your understanding at National Wine Centre of Australia, and take an in-depth tour of State Library of South Australia. For maps, photos, other places to visit, and tourist information, refer to the Adelaide trip maker website . Drive from Yankalilla to Adelaide in 1.5 hours. In March in Adelaide, expect temperatures between 30°C during the day and 18°C at night. Finish your sightseeing early on the 5th (Thu) so you can travel back home.